Freestanding drugstore building on hard corner in high-traffic corridor of Gastonia, NC. Nearby businesses: Walgreens, Harris Teeter, Publix, Food Lion, BP, Dollar General, Auto Zone and KFC. 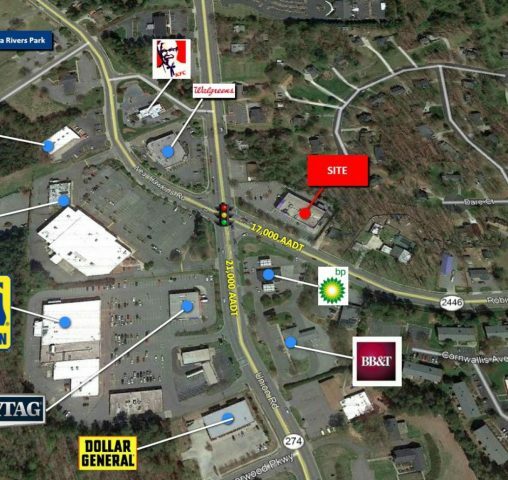 Property is within 1.5 miles of the Gastonia Municipal Airport and the Gaston County Country Club. Gastonia is located 20 miles west of Charlotte and is the 2nd largest satellite city in the Charlotte area. Within 5 miles of the location, the population is nearly 100,000.